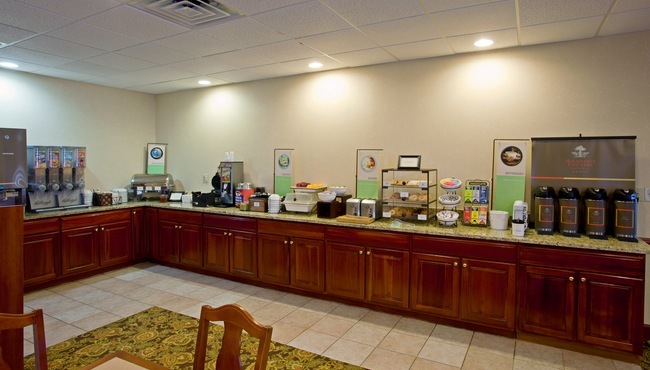 The Country Inn & Suites, Goldsboro offers a selection of delicious breakfast fare at our free, hot breakfast. Fill up on fresh fruit, cereals and unlimited gourmet coffee. When lunch and dinner appetites strike, make the quick drive to a nearby restaurant like Logan’s Roadhouse for great steaks or Torero’s Authentic Mexican Cuisine for your south-of-the-border favorites.